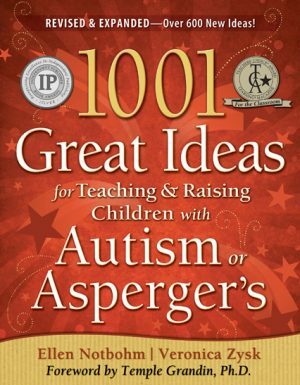 This fascinating new book fills a missing void in the child-rearing world. 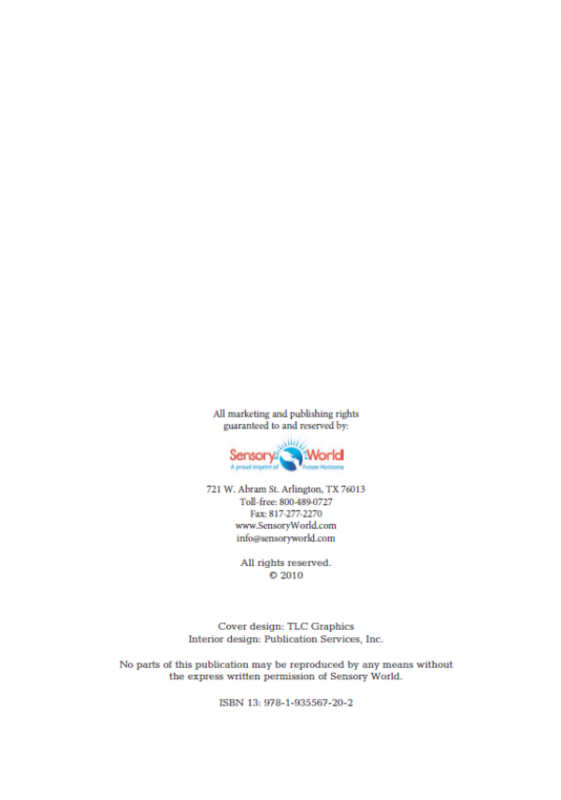 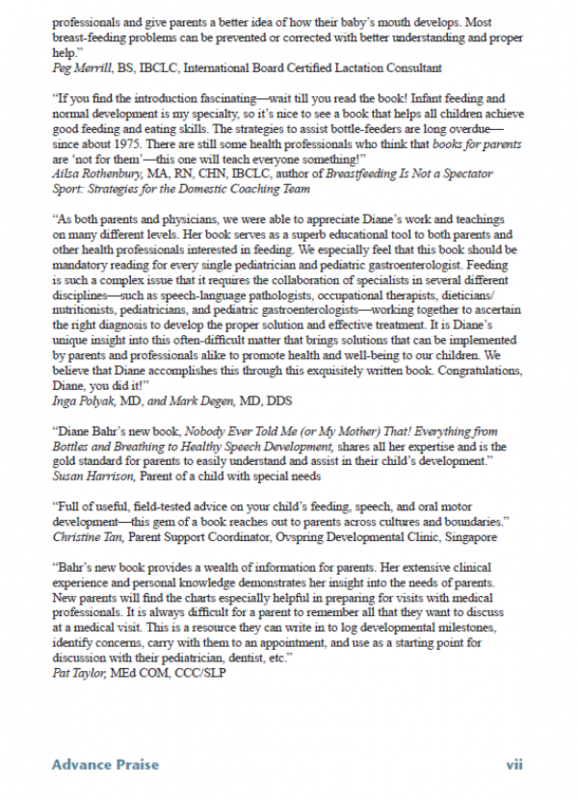 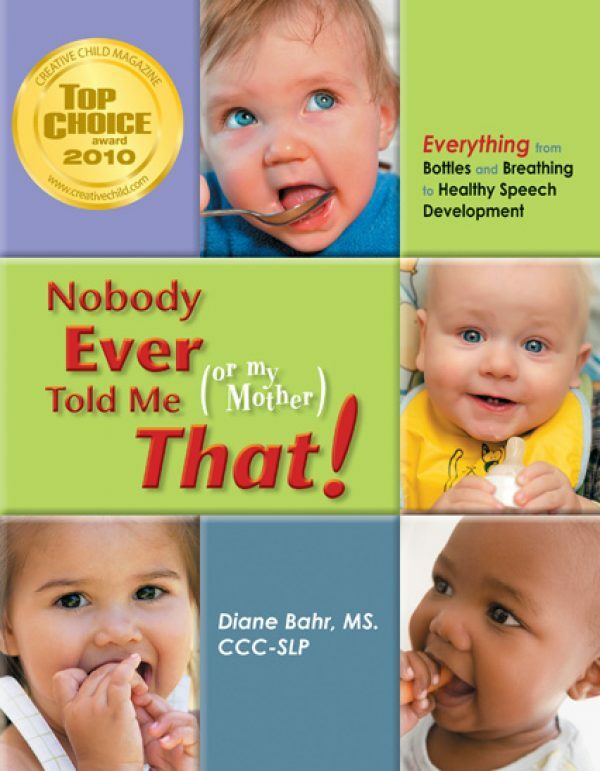 It explains everything from the basics of nursing to SIDS, to facial massage, and finishes with the secrets to good speech development and keys to enhancing your child’s best natural appearance. 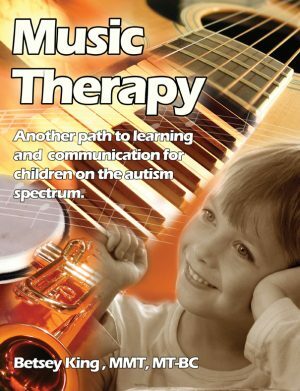 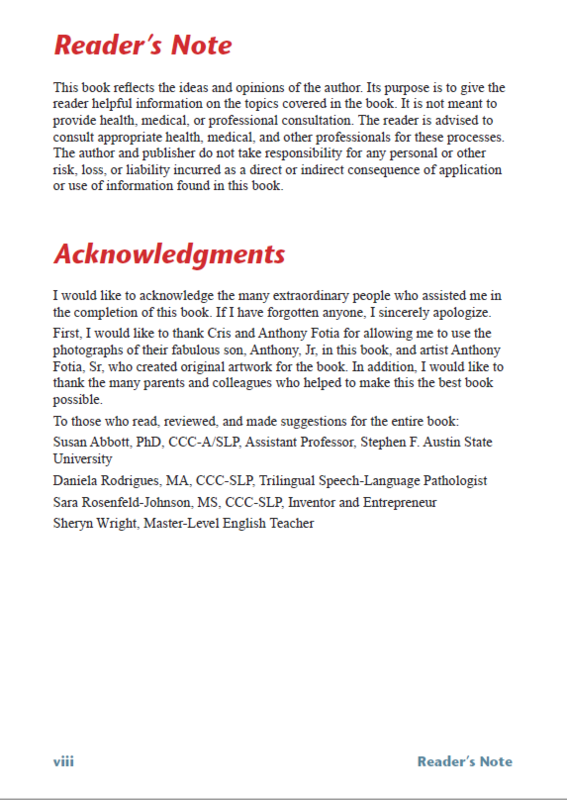 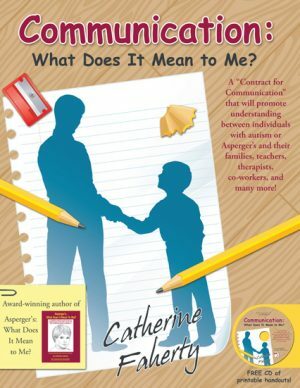 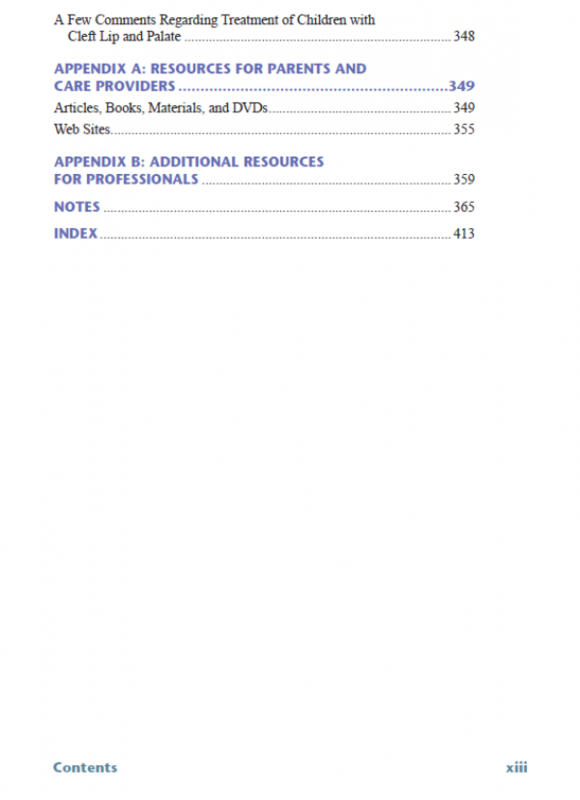 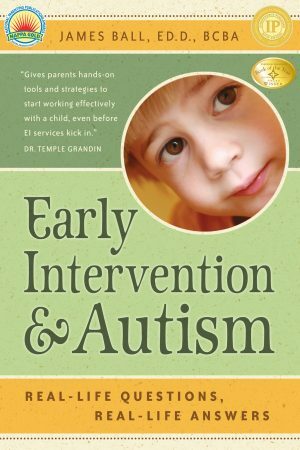 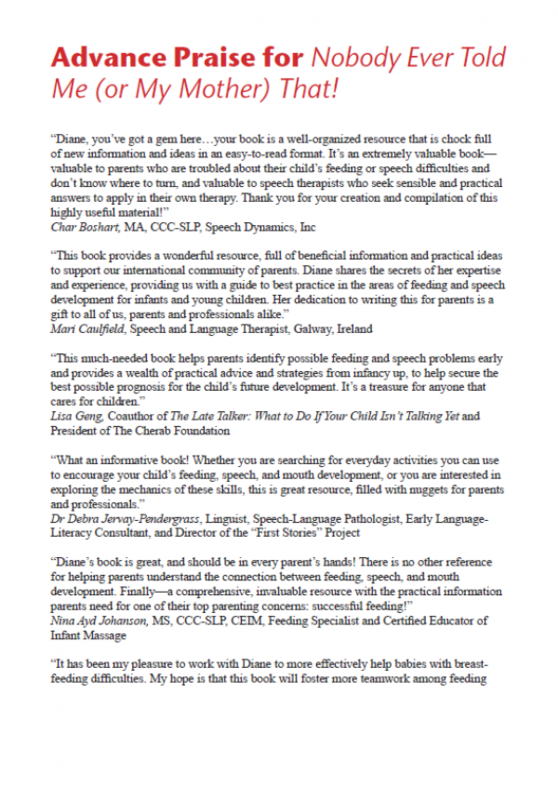 Written by a speech-language pathologist with more than thirty years of experience, this book is a wealth of necessary information for any new parent. 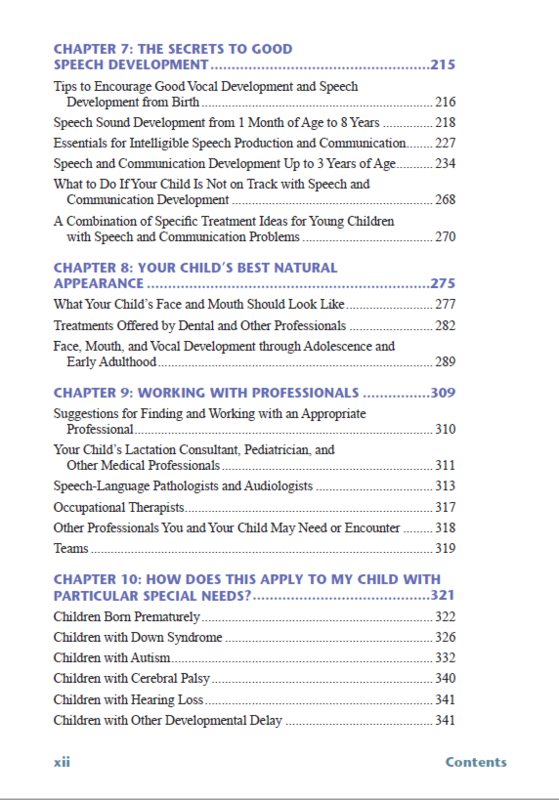 It contains practical advice for all new parents on everything they need to know about oral development from birth to eight years old. 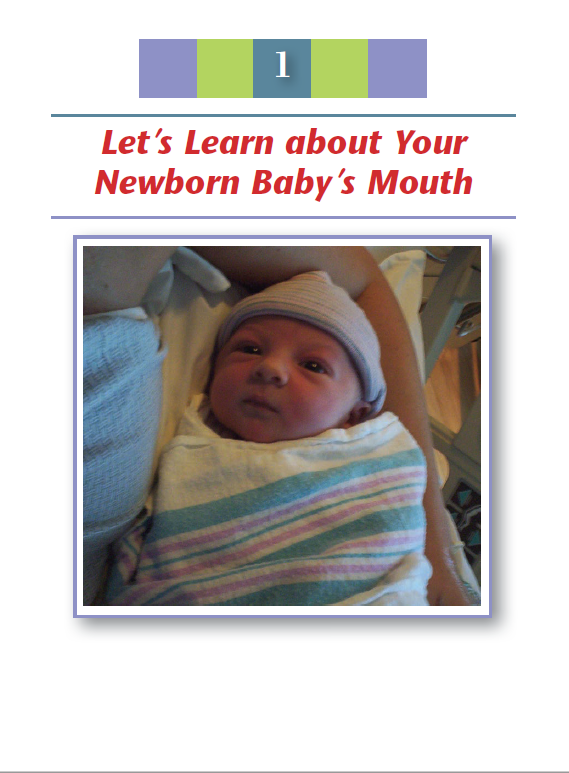 occurs during the first two years of your baby’s life. 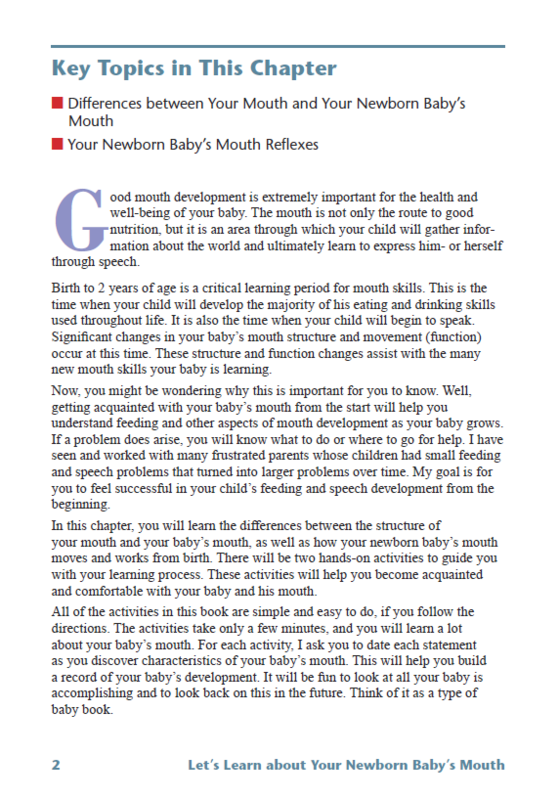 By using simple, appropriate techniques during the first two years of life, you can help your baby develop the best mouth structure and movement possible. 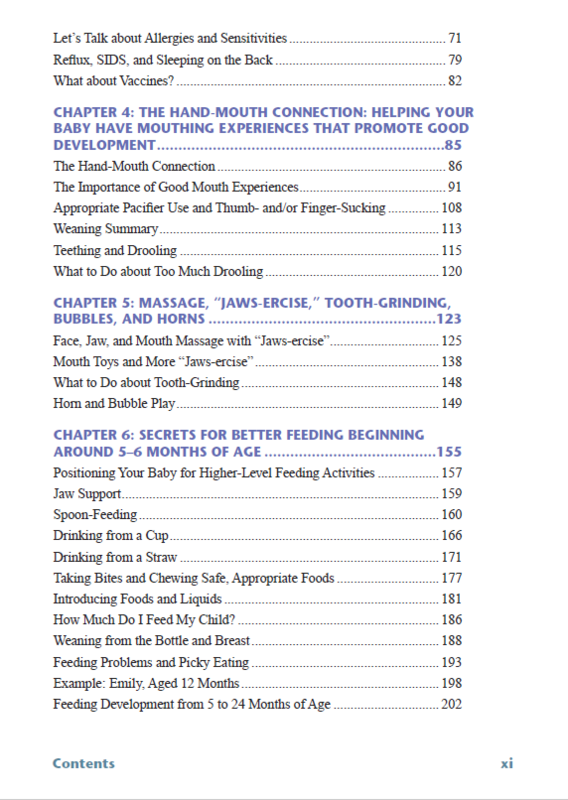 Good mouth structures that will support overall health. 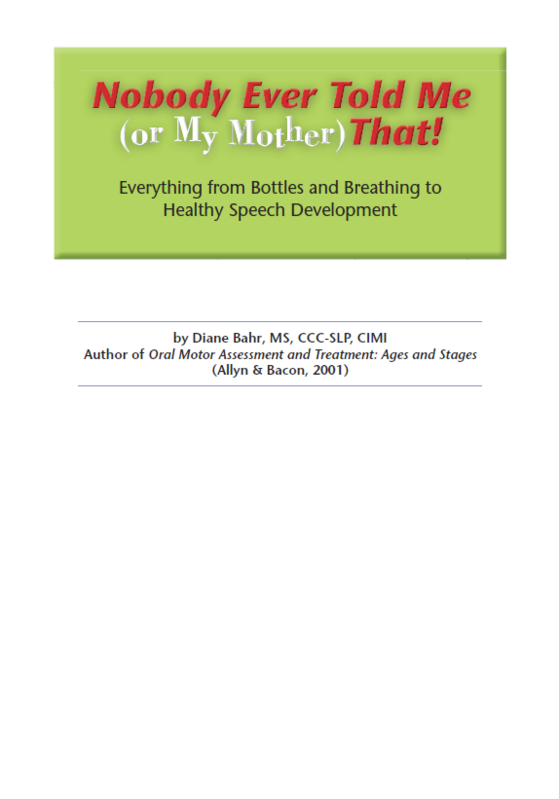 Appropriate eating and drinking skills that will be used throughout life. 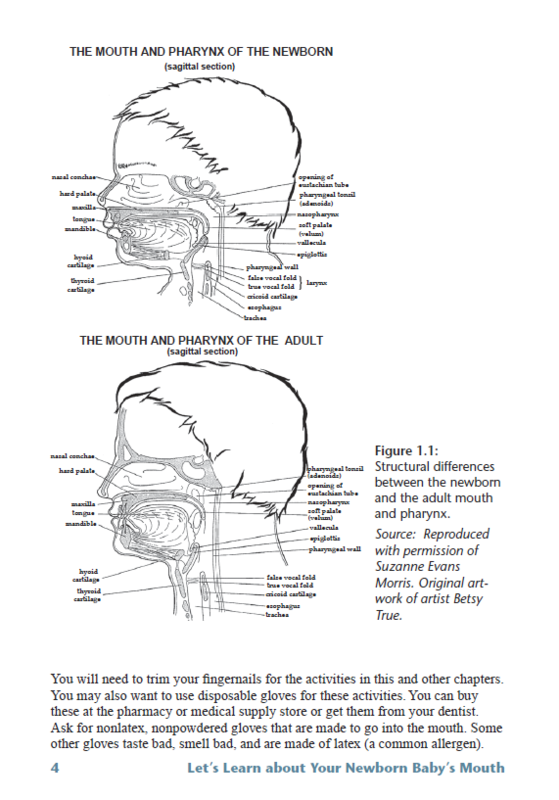 Mouth structures that will support the development of good speech. 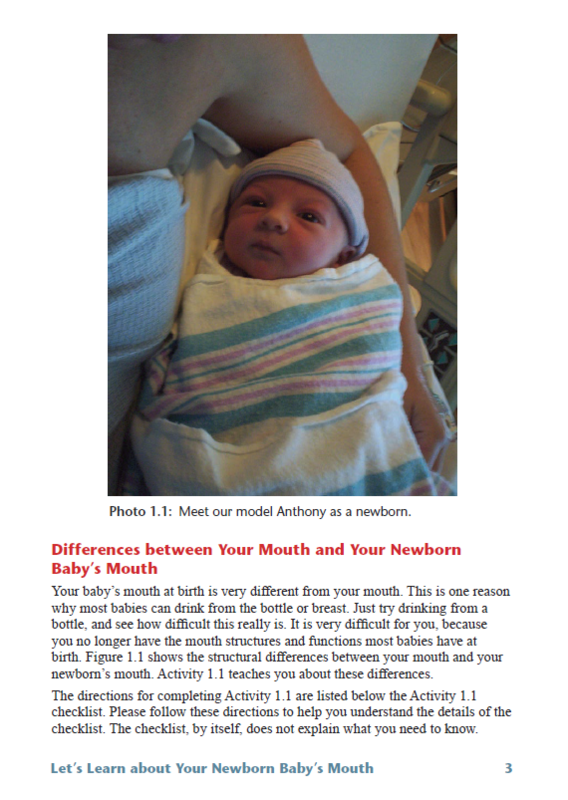 His or her best natural appearance.